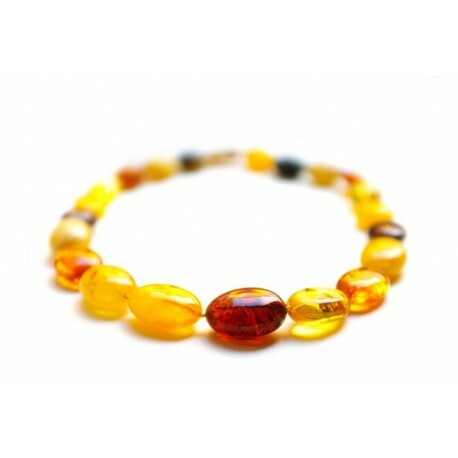 Polished amber beads of various, yellow, clear lemon, cherry, cognac colors. They are elegant, colorful and will perfectly match clothes of various colors. Smoothly polished sleek-shaped necklace of intense colors. Luxurious and meticulous. Carefully selected and aligned.